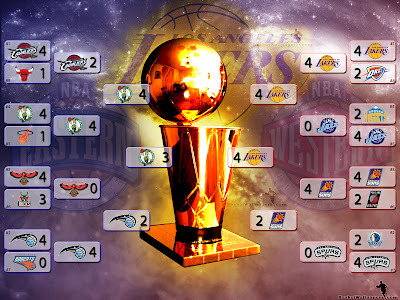 The Los Angeles Lakers are the 2009-2010 Champs! Hey there. 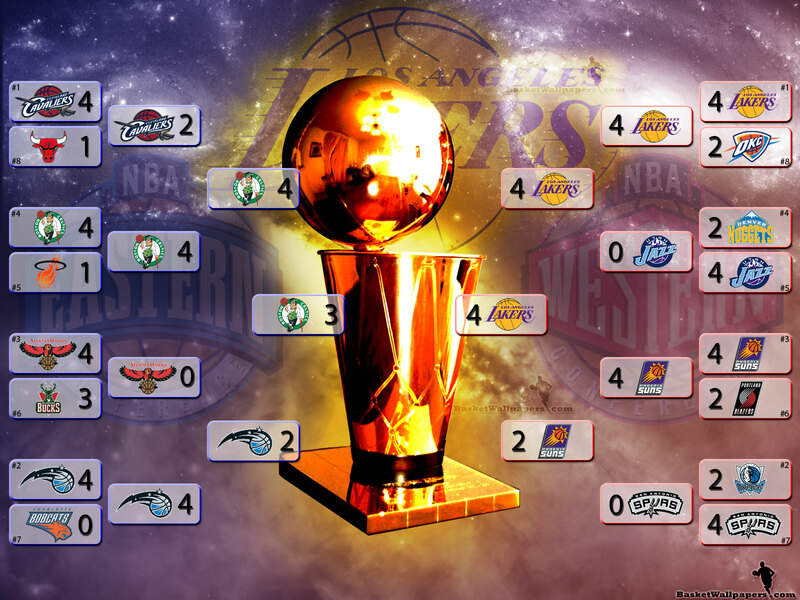 What an awesome game 7 between the Los Angeles Lakers and the Boston Celtics!!! It definitely was a defensive game and questions surrounded the Celtics on how they would be able to compete without their big man Perkins in the middle. Looking at the final score of 83-79 doesn't convey the intensity, the tension, the reputations, and the legacy that was on the line. I'm still hyped up over the game and if you missed it, you missed one hell of a game 7. In a league where high flying offense seems to be what draws crowds, this defensive battle kept the players, and the fans on edge from beginning to end. It wasn't a blow out, and at one point it seemed that the Lakers would fall the to Celtics, but they pulled it out with tough defense and a gritty performance. Congrats my friends!!!! And too the teams that made it to the post season and made it awesome for the fans, thanks! Until next season! Later! Oh man, I miss Chick Hearn, greatest announcer of all time. I’m sure he was putting it in the fridge from up there. This one was for chickie, too. I guess you were right. LA did turn out to be champs. It was a pretty exciting series. One that will go down in the history of the NBA like a lot of great lakers vs celtics games.